Giving your guests the ability to pay at the table is a burgeoning payments solution in the United States. As adoption grows, many merchants have questions. Get answers here. 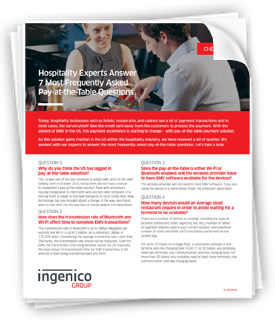 Download this cheat sheet where our hospitality experts answer the 7 most frequently asked pay-at-the-table questions.